Tagged with " doctored cake mix"
It’s almost time for the 4th of July and if you’re anything like me you hardly need the holiday to make a dessert. 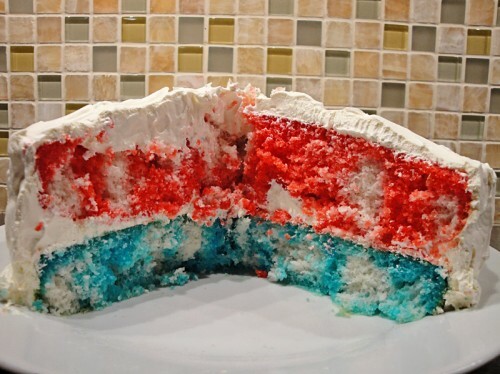 I love making a jello poke cake for the 4th of July because I always associates poke cakes with summers and being a kid. Food seems to connect us back. This is a simple enough recipe. You prepare a box of white cake mix (or your favorite recipe) into two round pans, bake, and cool. You can poke holes in the cakes with straws or toothpicks- I like to mix it up. Then you chill the whole thing before assembling with cool whip as your frosting. Prepare your cake if you haven't already. Bake and let cool according to box instructions. Pierce the top side of the cake with toothpicks or a straw, about 1/2 inch apart. Pour each Jello flavor into its own bowl. Add 1 cup boiling water to each bowl and stir for 2 minutes until the Jello is dissolved. Gently spoon the strawberry Jello over one cake and then spoon the berry blue Jello over the other cake. 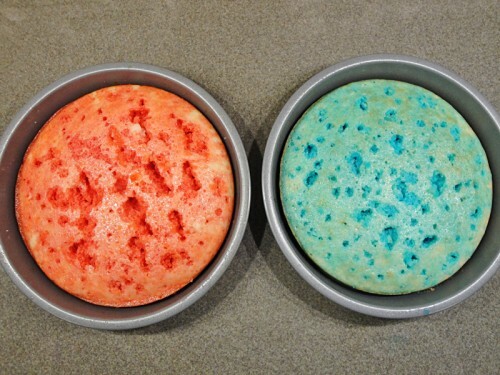 Chill cakes for 3 hours. Dip the bottom of the cake pans in warm water and gently remove the cakes from the pans. 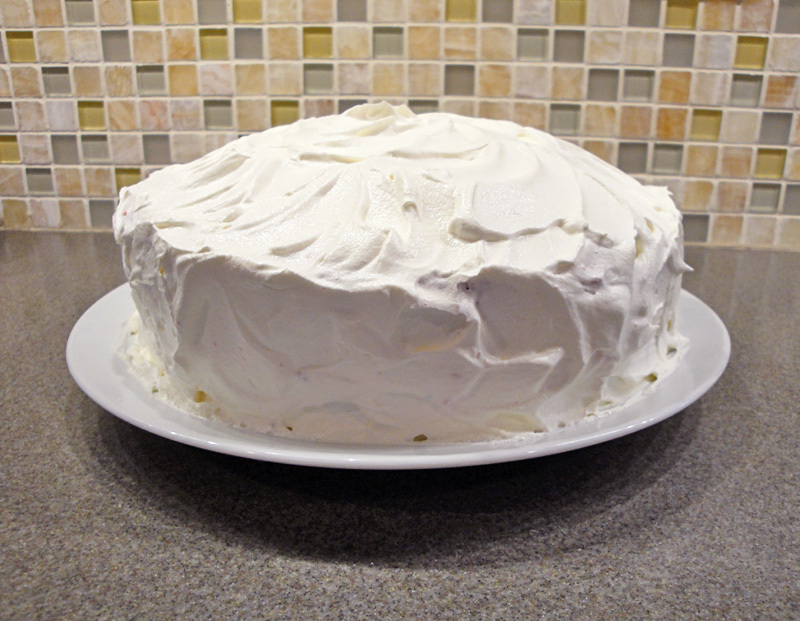 Place your blue cake on a serving plate and top with cool whip. Add the red cake and finish icing the cakes together with cool whip. Chill 1 additional hour before serving. When I think of cakes, I tend to think of my old standbys, like chocolate, pound cake, and white cake. I don’t often think of lemon cake as a must-have cake except in the spring time. There’s something about eating a bright yellow cake on a sunny day with some fresh berries and whipped cream to really remind you of how delicious lemon cake is. This recipe is another one of my doctored cake mix recipes. In addition to lemon cake and lemon juice and lemon zest, the secret lemon ingredient is lemon pudding. 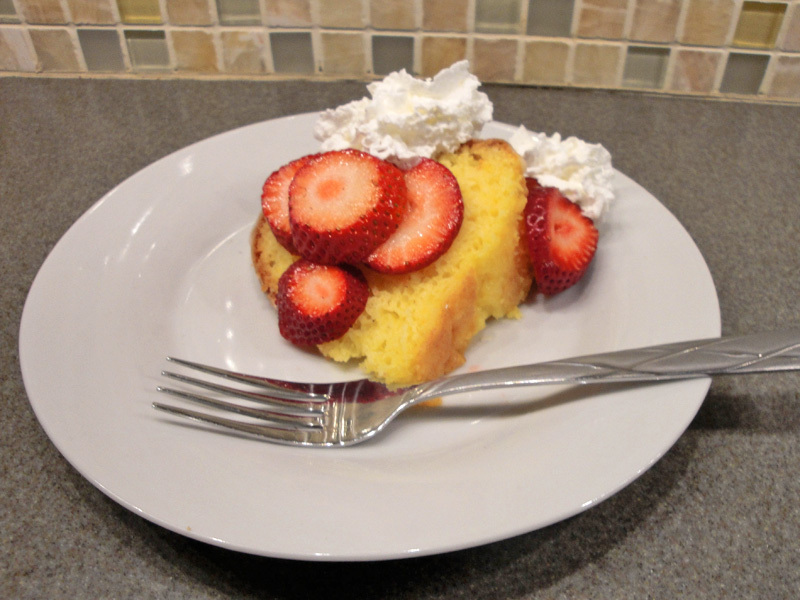 It makes the cake very moist and dense so it’s like you’re eating a wonderful lemon pound cake. When you top it with the lemon glaze, make sure to do it while the cake is still warm. You won’t regret the extra zing it provides. Zest a lemon and place shavings into a large bowl. Squeeze the lemon into the same bowl. Add the cake mix, pudding, eggs, and oil into the bowl. Stir until just combined. 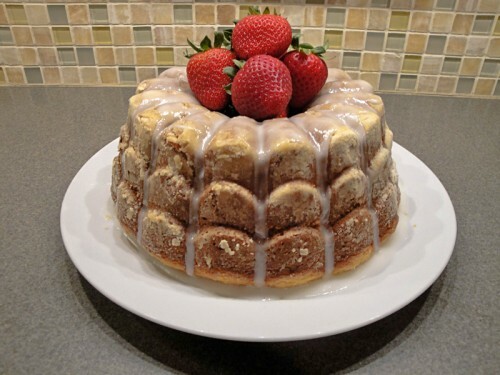 Pour the batter into a prepared bundt cake pan. Remove from oven and let cool 15 minutes before removing from pan. 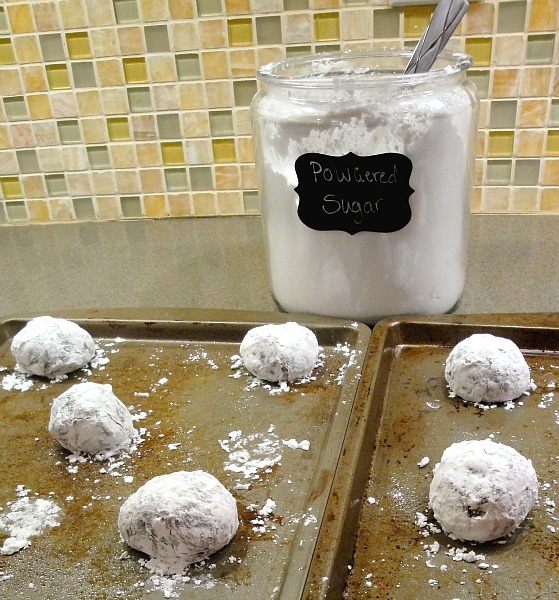 Combine powdered sugar with lemon juice. Pour over cake while it is still warm. Let harden before eating. This all started before I knew what I was making. My local grocery store was having a 10/$10 sale on cake mixes and I was feeling kind of froggy so I bought a few to experiment with. 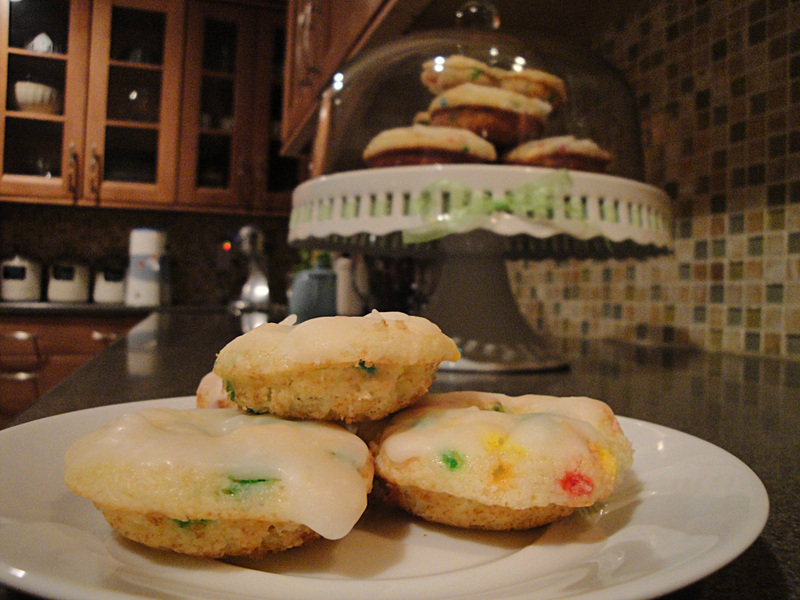 The first creation was my Funfetti Doughnuts. For Valentine’s Day I wanted something simple. My husband’s birthday is the week before so we were a little overwhelmed with all the chocolate cake we’d had leftover. Valentine’s called for something lighter on our stomachs and something that looked like it took far more work than it did. 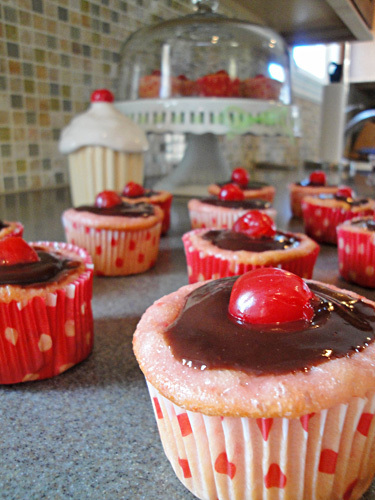 Enter chocolate covered cherry cupcakes. 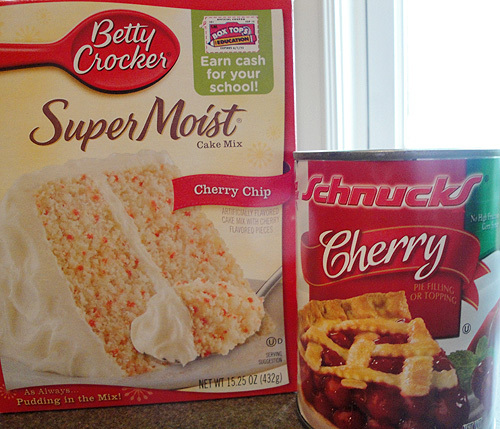 I started with a cherry chip cake mix and all the ingredients it usually called for. Then I threw in some cherry pie filling to really bring home that cherry feeling. After baking you might notice that your tops will fall slightly as they cool. This is actually good because it forms a little holder for the icing of choice: chocolate ganache. You want to plop just enough ganache on each cupcake to fit in the depressed space. 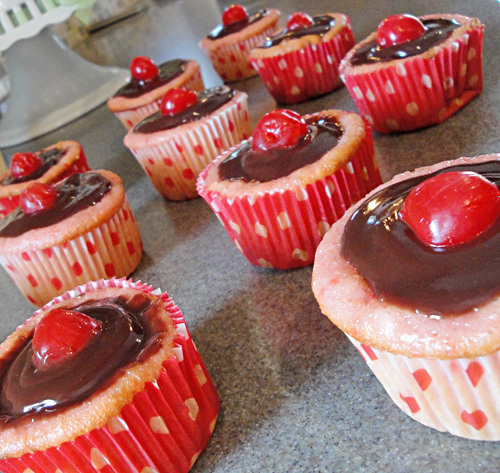 Once you ice all the cupcakes, take some cherries (or cheat like me and use some leftover from amaretto sours), dip them in chocolate and plop them on the cupcakes. Now comes the hard part: you have to wait 2 hours to let the ganache harden enough to eat them. Still, it’s worth it. The cupcake itself is sweet so the chocolate ganache on top is just bittersweet enough to remind you of an actual chocolate-covered cherry without being too rich. They’re super simple so you can make one tonight and it will be ready for dessert tomorrow. I’m having a bit of an obsession with buttermilk lately. 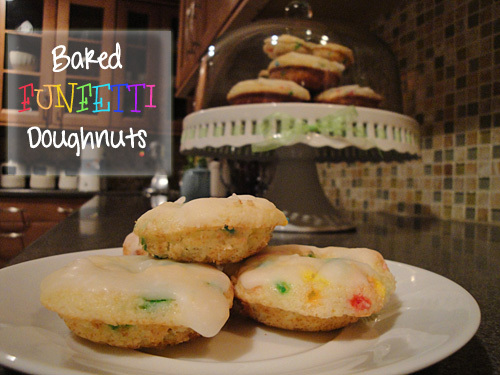 Combine that with my love of my doughnut pan and doctoring cake mixes and this recipe is like my soul mate. So what’s all my fuss about? Funfetti Doughnuts. 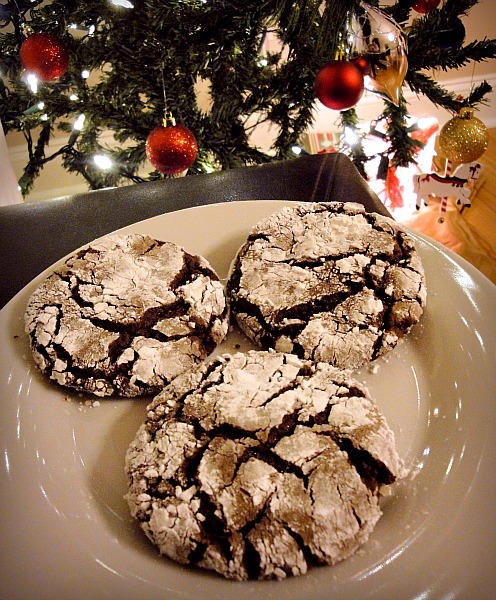 Cookies & Cups tipped me off to this amazing recipe. You need most of a box of cake mix, some buttermilk, eggs, and a touch of melted butter. That’s it! Okay, so you’ll also need a doughnut pan (or you could steal one from your mom) so you can enjoy the baked doughnut goodness. This recipe filled up both a 6 regular-sized doughnut pan and a 12 mini-sized doughnut pan . Just snip the corner of a Ziplock bag and fill up your pans. The full recipe and cooking instructions are below. I added a glaze to the doughnuts but they are sweet enough without them. My husband commented that they taste like angel food cake and even though he’s more of a Krispy Kreme kind of guy he gave these his seal of approval. Then he went back for seconds. Stir the ingredients together until just mixed. 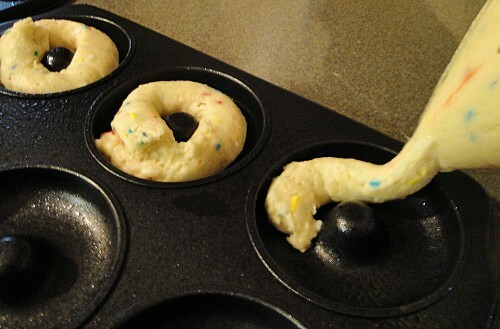 Transfer batter into a Ziplock bag and squeeze into a buttered and floured doughnut pan. Bake at 425°F for 8-10 minutes or until lightly browned. Cool in pan for 5 minutes and then use a knife to gently remove doughnuts from the pan. 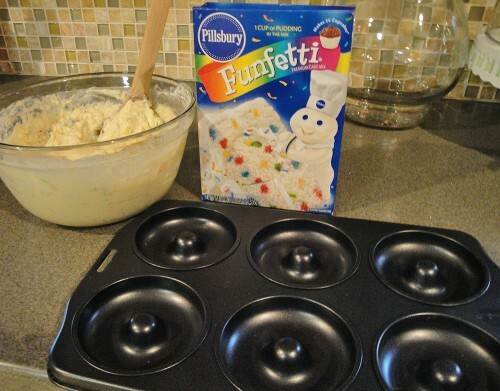 Top with a glaze or even funfetti frosting for extra flavor.